Amid all the hoopla of Windows 7 there are a few things that were left unsaid because they could put you off. It may be the "best version of Windows ever" but that doesn't make it perfect. There is the DRM cost, the hardware cost, and the download cost. You would think that an Acer laptop with Windows Home Basic 7 64-bit and Microsoft Office Home and Student 2007 pre-installed would be ready to run without much updating. Wrong. So far the download bill is 560MB in updates and service packs. So what's wrong with half a GB of downloads? Nothing much (R150) if you have a DSL connection, but a lot more if you have a 3G card plugged in. That could have wiped out your entire month's bandwidth, or cost you R190, R250 or R1120, depending on your contract and how much you have already used. Bandwidth costs in South Africa are non-trivial. 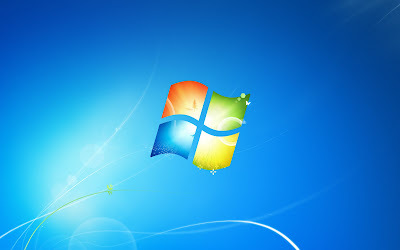 The downloads included Microsoft Security Essentials, their new antivirus package, and some of Windows Live Essentials because Office Home and Student 2007 doesn't include Outlook. Then there is the additional hardware bill. This is because there are plenty of printers and other devices that don't have 64-bit drivers. In addition to the new laptop, Penny's aunt has to buy a new printer, a printer cable and a mouse. So a R5000 bargain became a R6000 bargain. There are more drivers available than at the launch of Windows Vista, but don't hold your breath. If you are going to upgrade with a clean install, or if you plan to retire your old PC, what happens to all the WMA files with DRM protection? I have 5 audio books from Simply Audiobooks that are not available in MP3 format, as well as 2 from Clear Audiobooks. Fortunately I haven't bought any music this way. The total replacement cost is around $150, because the DRM doesn't transfer from one machine to another, or back to the same machine if you do a clean install. I'm glad I used Total Recorder to convert these files to MP3. It costs $17.95 which is a bargain considering how much more the DRM replacement cost is. Isn't it wonderful how one Microsoft technology is used to destroy another? The sooner we get rid of WMA DRM the better. Update: It seems that my audio books from Audible.com and Borders are unaffected, because their DRM is different. But I have 4 Borders books in WMA format so who knows? Time will tell. Update 22 December: I just purchased AllMusicConverter Platinum for $20, to convert the .WMA audiobooks that I have bought. It is pretty nifty, and quite quick, given the length of the books to be converted. It claims to work on .aa files, but doesn't. And my emails to their support address have bounced. The WMA conversion works perfectly, although it insists on converting mono files to stereo. I have spent most of the weekend tweaking a new Acer Aspire 5332 for Penny's aunt, and it's got Windows 7 Home Basic on it. For some incomprehensible reason it's the 64-bit version, even though the laptop only has 2GB RAM. "Windows Home Basic 64" just sounds wrong. folder. Some installs only have a few country locations there, such as AU, GB, CA, US and ZA, while others have a lot more. The MCT folder is hidden in some way. and explore through the files you find. Some of the pictures are quite good. I use the "Fun Desktop Wallpaper Changer" program to get a new desktop wallpaper every day. It works on Vista and Windows 7, as well as older versions of Windows. Of course, if you want a whole load more images, you could visit the Bing Image Archive. Some of the images have been doctored to have a darker area where the Bing search box goes, but many of them are quite passable. Update: I have posted the pictures I found here, since my installation of Windows 7 Home Premium doesn't seem to have them. The title of the talk is not "the curse of the two income family" but it might as well be. This talk explains a lot about why families in the 2000's are very different from the families in the 1970's. It's well worth the time listening and watching. The timing is quite interesting too: 31 January 2008 is before the big collapse in the sub-prime housing market and all its repercussions.